We invite you to celebrate the second edition of France’s Diaspora-Israel Day. 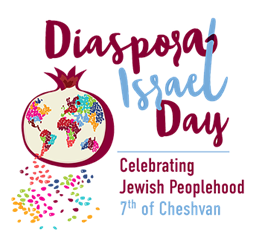 This is an opportunity to celebrate the unity of the Jewish people and the connection between Israel and the Diaspora. In the company of Rabbi Tom and Arzenou France, we will be reading excerpts from a Haggada specially created for this event and translated by our friend Jean-François Levy. Please bring a vegetarian dish and either a drink or a dessert. This day was created by the Domim-aLike project, which is supported by the World Union for Progressive Judaism and the Israeli government.